Oh, and it connects all six seasons together so perfectly, and so seamlessly, and it’s so brilliant, this BETTER come true. As you know — and you better know, because you’re completely caught up with every AHS episode so far — this season is, shall we say, different. It’s half documentary style, half actor reenactments, all around confusing and crazy. Supposedly, there’s a big TWIST coming in Episode 6 that will completely change the show, and we are both excited and nervous for this. While we don’t know what this twist will be, one very smart redditor, danielsk1, might have just figured out the bigger overarching narration of the season. 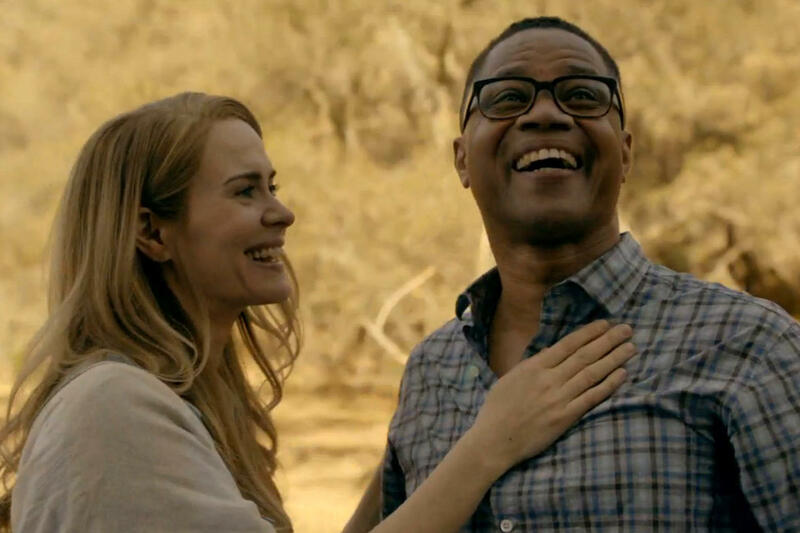 So far, each episode has directly corresponded to a prior season of American Horror Story — or, a prior “Chapter” of the series — and when we get to Episode 6, THAT’S when the “true” season of AHS will begin. Think about it: For Episode 1, we got major Murder House vibes. For Episode 2, we got murderous nurses. The reddit post was actually written before the third episode aired, and danielsk1 speculated that there might be witches for “Chapter Three.” WELL LO AND BEHILD, there’s a seance during Episode 3. After that, THEN, the REAL ~Roanoke~ theme will come out. Check out the whole theory below. Now cross your fingers and hope and pray that it comes TRUE.